The James Douglas team and along with Seraph Property Management and Clockwork, are walking over 15 miles from the James Douglas Sales and Lettings office in Cardiff to the Pontypridd office to raise money for Velindre Centre. Director, Douglas Haig and over 20 members of staff as well as clients and customers will be walking on Sunday 20th May along the Taff Trail. Our chosen charity this year is the Velindre Cancer Centre, which is a specialist cancer treatment centre located on the outskirts of Cardiff. They provide services to over 1.5 million people across South East Wales and beyond. Treating over 5,000 referrals and 50,000 outpatients each year. Velindre has over 670 staff who work to provide families with the best possible care and treatment. 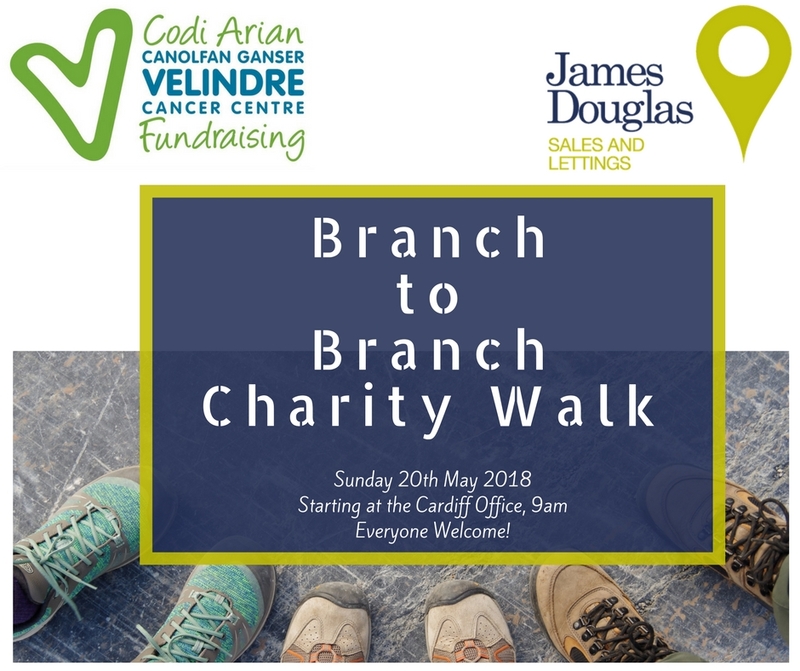 Everyone is welcome to join us for our Charity Walk, where we will be starting at the James Douglas Branch on Albany Road in Cardiff and following a planned route along the Taff Trail ending at our Pontypridd branch on Church Street. We will be making four planned stops along the way. Our walk is also dog-friendly!